And I just want to let you know all that she is still there. Those were the hardest days, when I had to live alone and survive. To love her and to love her memories is my life’s only goal. To ever have someone special like her, in my life? Having known her, having loved her and have her as my wife. I don’t want to let you go, and live my life without you, my dear. 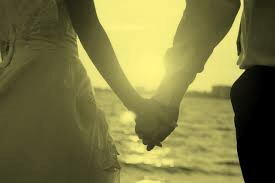 Our journey together begins now and our eternal love unfolds…………. P.S.- I have written this poetry, especially in the memory of my School friend, who is no more. I have come to know about her sudden demise after one year, i.e. a month back, through her husband’s post on a social networking site. Here, I have tried to capture the emotions of a husband, who had lost her wife. May your soul rest in peace, Pooja! Thank you Sir, for such encouraging comments from you.